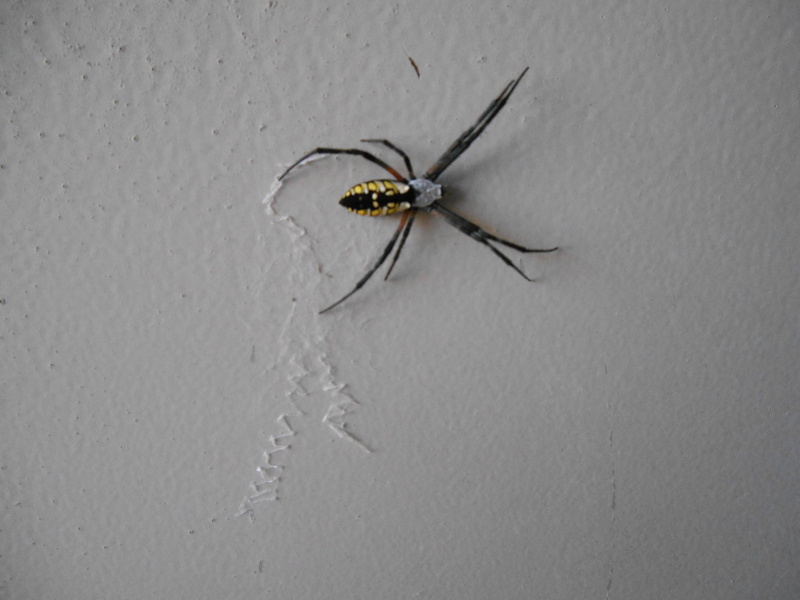 We have a lot of spiders around our house. They’re really interesting. One day there was a huge spider on our front door. I have no idea what kind it was, it was a little bit bigger than a silver dollar… ok maybe a lot bigger than a silver dollar. My husband took care of it before I got a picture. I wasn’t exactly on the ball with the camera on that one. This one has been on my front door for the past two days. It looks gold, very interesting. I generally don’t kill spiders if they are outside… although that huge one was an exception because I thought to myself… if I found that one inside I would be screaming and jumping up and down. So it bit the dust.